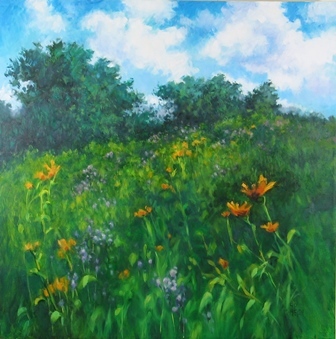 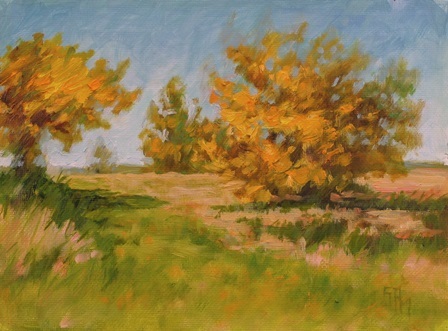 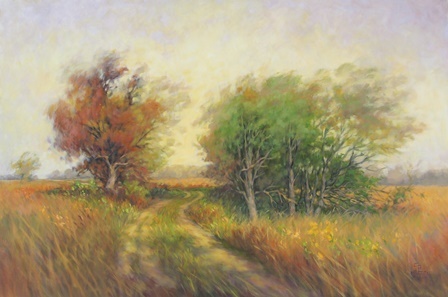 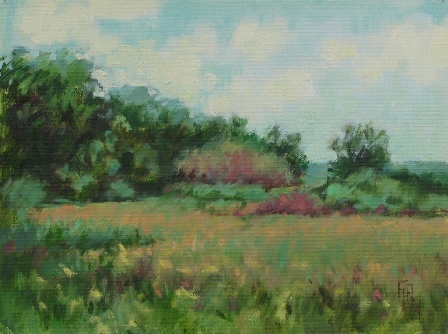 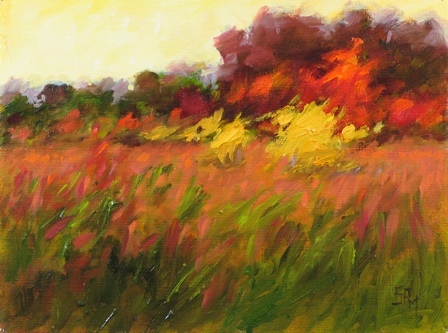 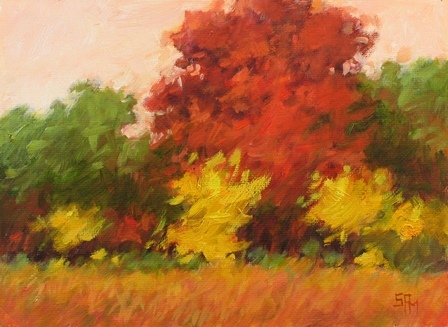 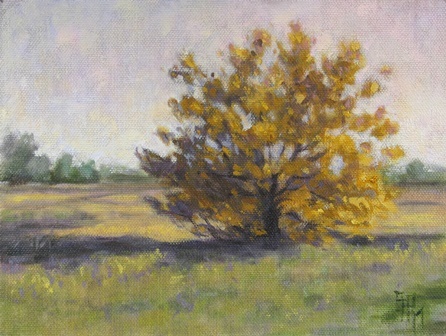 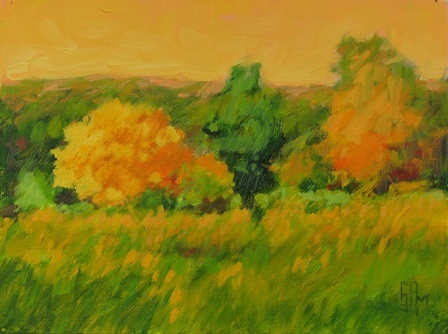 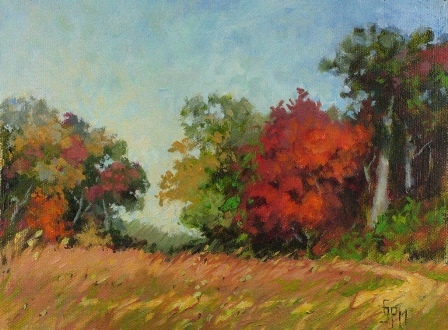 Original Oil Paintings by Artist Suzanne Poursine Massion - "Prairie Paintings"
The bulldozer will level some of the gently rolling hills, dig man-made lakes, and permanently alter the land. 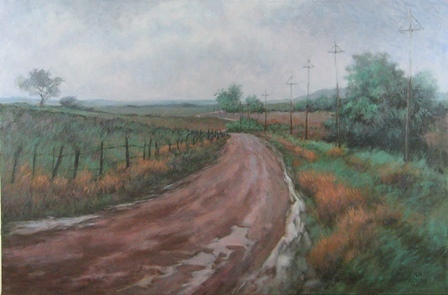 Familiar landmarks will be wiped out, gone forever. 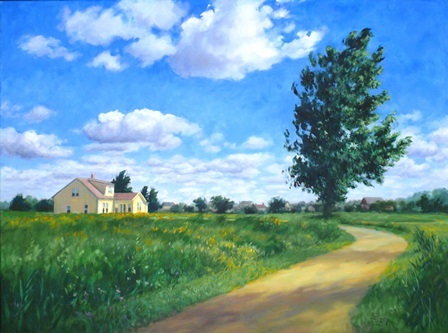 My paintings give these unique spaces a second life. 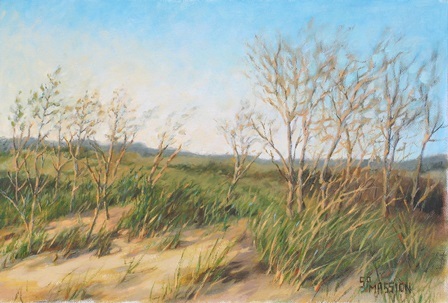 Collectors of my work tell me they are not just purchasing a painting, but acquiring a window into a vanishing world. 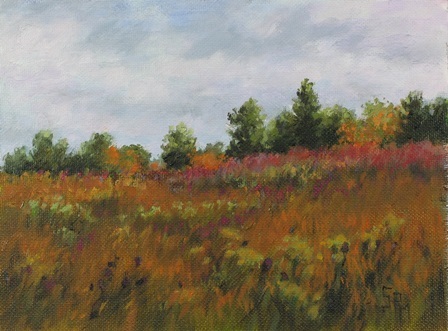 A tall grass prairie, a golden field of ripening soy beans, acres of field corn, tasseled out and blowing in the wind are breath-taking sights. 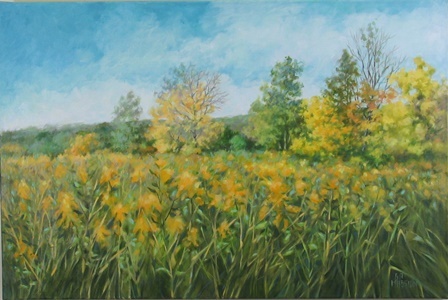 All have found a place on my canvas. 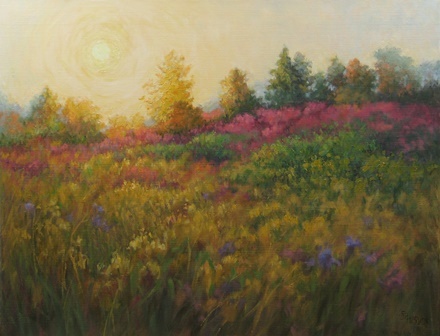 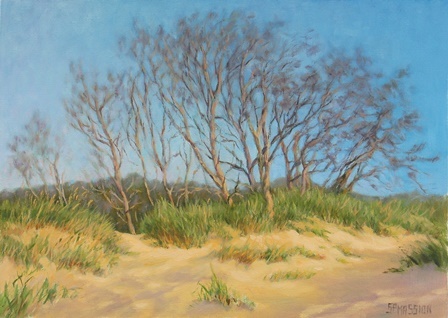 Many people who love landscape art look for a certain quality in the paintings they buy; a view to the outdoors. 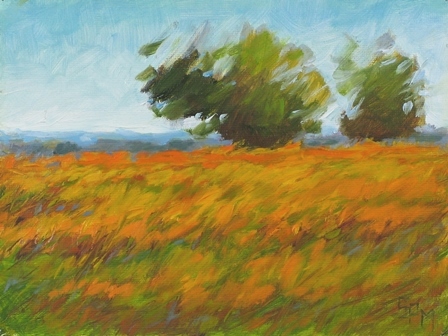 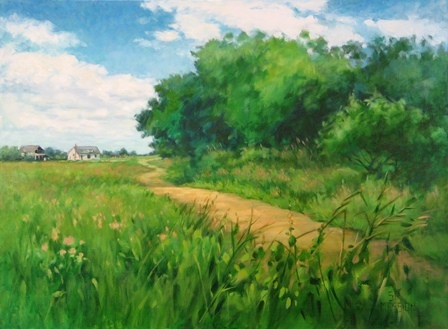 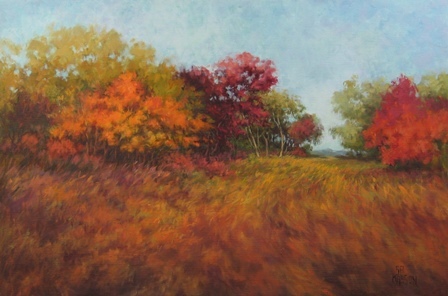 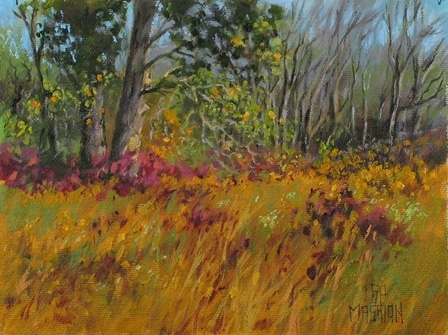 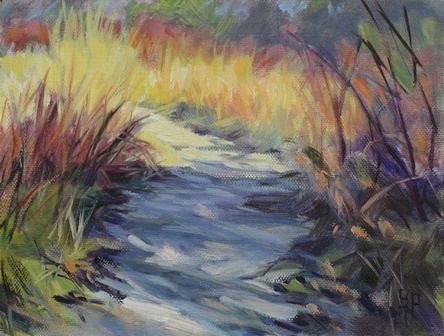 A painting can take you to fields of grasses waving in the breeze, a small hidden pond reflecting the color of the trees along its shores, the cool shade of an oak-hickory woods beckoning you to rest a while, or a winding lane that says, "Take a stroll and discover a secret destination".